I'm weird about the way I used Pinterest. There's almost a ritual about it. I don't like to be one of those people that become really pin-happy and just pin anything and everything that strikes their fancy. Though I do pin a fair amount, I try to really make it count somehow. Usually, when I'm on Pinterest it's bedtime and usually I'm just using it as tool to distract myself until I feel sleepy enough to get to sleep. Basically, in my book, this is no time to be pinning anything that's not a sure thing. So, usually when I'm scrolling through my feed, I'll hit the "like" button over the "pin" button 9 times out of 10. Liking the pin/image gives me a way to go back and view it later which is handy (and really speeds up the time it takes me to browse through my feed). Once I go back to the pin/image, I'll either categorize it and pin it onto it's appropriate board, decide it doesn't really have a place and keep it as a "like," or delete it because it wasn't all it was cracked up to be anyways. I really like my system and sometimes when I'm going back through my "likes" I find images and pins that have a similar feel to them, whether it's the content or the color scheme. The pins/images just go together somehow even though I never really meant for them to. It's a great eye opener as to what grabs my attention and inspires me at a glance! With all that being said, I thought today I would share some recent pins that I've "liked" in the past week or two. 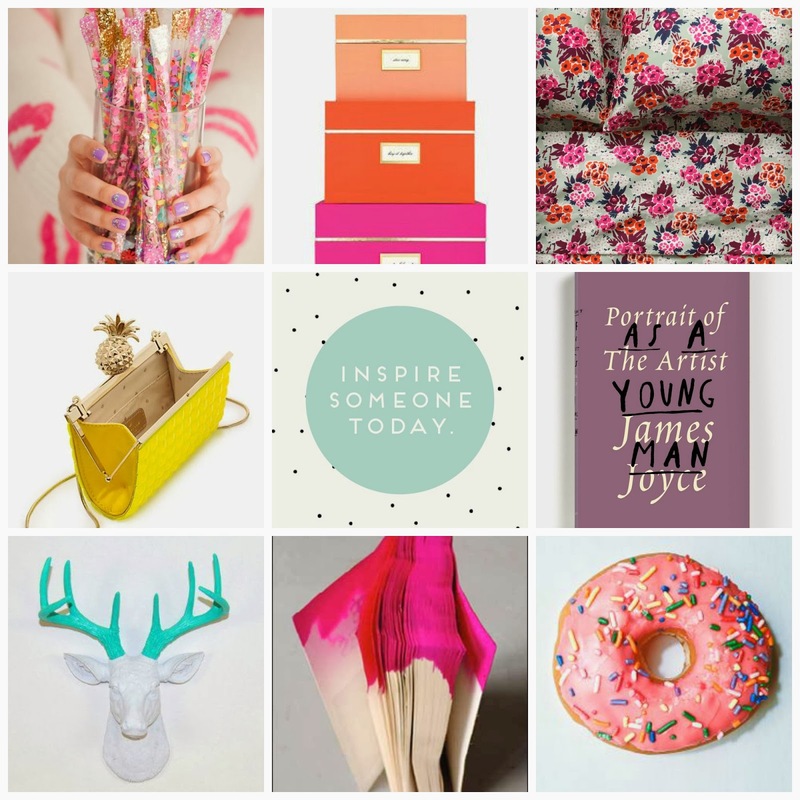 Apparently, this week I'm all about bright, candy colored objects and things. It all has a very sweet and festive feel to it, which is nice from the clean and simple modernity I usually find myself drawn too. I like the bits of infused whimsy and the way I feel when I look at all of these images together. It feels likes fun to me. What types of things and styles have you been drawn to this week? Please feel free to share! P.S. follow me on Pinterest here!